At least a tenth of both the US and UK population (14% and 10%) regularly use voice-activated speakers, but only a minority are using them for news updates or podcasts. Usage today is largely confined to a small set of basic ‘command and control’ tasks such as accessing music, asking for the latest weather, or setting timers. Just 1% in the UK say that news is the most important feature and only a fifth (18% US, 22% UK) access news briefing functionality daily. Many users say they don’t know how to access their favourite news brand or change default settings. Others are underwhelmed by existing content, which is mostly re-versioned from radio or print. Publishers, meanwhile, are interested in investing in voice but concerned about how to effectively monetise content. 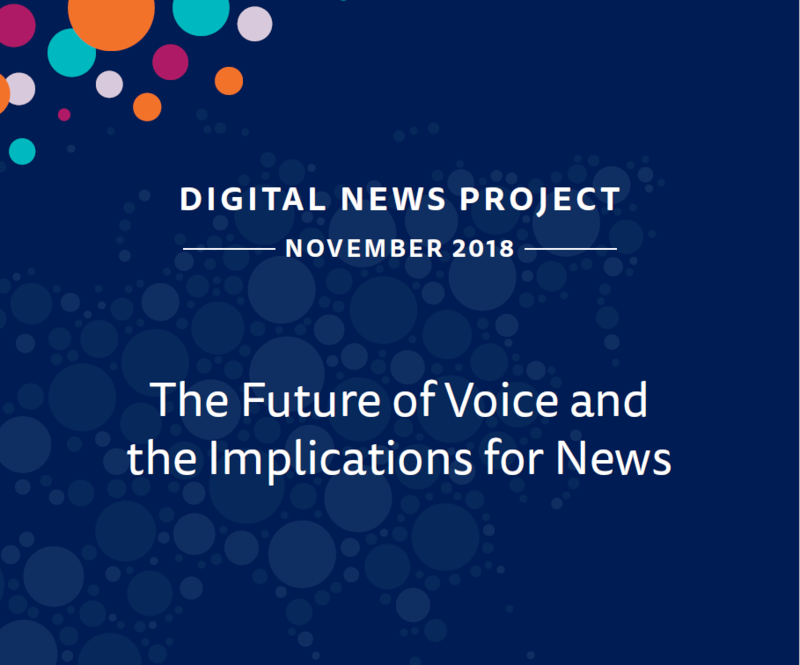 These are some of the conclusions of a new report, The Future of Voice and the Implications for News, from the Reuters Institute for the Study of Journalism. With platforms reluctant to release usage data, this is the first major study of news consumption on these devices. The report is based on nationally representative surveys in the UK and United States, as well as in-depth interviews and focus groups with smart speaker users in the US, UK and Germany. Eighteen leading publishers - including the New York Times, the BBC and Der Speigel - were also interviewed. The report is based on nationally representative surveys in the UK and United States, as well as in-depth interviews and focus groups with smart speaker users in the US, UK and Germany. Eighteen leading publishers - including the New York Times, the BBC and Der Speigel - were also interviewed.